Every Tuesday at EntreAmigos from 4:30 – 6 pm, Luis teaches a bird identification class to anyone interested. You can drop-in or you can come every week to learn about a different bird family. Right now about 10 regular students and a few drop-ins identify field markings of a featured bird in the classroom. During the last hour, they practice their skills in the field seeking out the featured bird family with binoculars and spotting scope. Classes continue through June!. SPBO feels lucky to join forces with the Birding Chacala group. Volunteers from each group unite to provid experience to children in Chacala schools fostering knowledge and identification of resident and migrant bird species in their area. 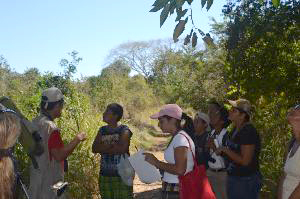 The Birding Chacala group compiled educational materials and delivered them to teachers at Chacala Schools. Teachers have creatively used these materials to teach about birds, habitat and conservation in a blended theme with spelling, grammar, reading and math. 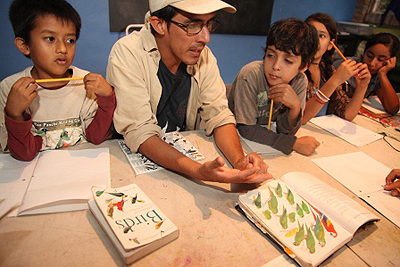 Students from kindergarten to high school study about birds for a month before Luis, with the help of volunteers from SPBO, Birding Chacala and the school, conducted a field study with the students and their teachers. Binoculars all around, these children were jubilant and engaged. A few children were gifted in spotting and locating birds by sound. They knew the jungle forest, but they learned details about it from the Birding Chacala and SPBO teams that captivated their attention and inspired their questions. A few of the older boys are perfect candidates for birding internships. One little boy in the very large kindergarten group proudly assured us of his first-hand experience with birds…Roosters! SPBO will return to this community to conduct more field studies and to include interested students in birding tours. Perhaps one day, a student from this class will build a bird touring business for him or herself; perhaps another will go to college to study birds or conservation. We at SPBO are convinced this is entirely possible! Online Bird-ID Video Series and Community Workshops. SPBO’s goal for spring 2013 is to create a full series of online bird identification videos that can be delivered, together with supplementary educational materials for different ages and educational levels, though our network of bird conservation organizations and institutions in the Banderas Bay region. The videos, together with the practice acquired during field trips, will help develop bird ID skills and maximize our efficiency by reducing travel time and expenses throughout the region. We already have over 6 communities in the region requesting this workshop and we really want to delivered them! SPBO requires donations to finance the creation of these online videos, associated materials, follow-up lessons, assignments and field trips Donate online. Informative signs have been designed, printed and now are ready to be placed on the trails! These signs will inform locals and visitors about birds and birding routes they will find in the Nayarit coastal region. 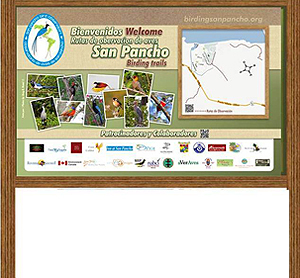 The sign and mounted in wooden frames that will be placed at key public routes for birdwatching in San Pancho. Signs are planned to appear in some of the surrounding communities in the near future. The signs are beautiful and are the result of the cooperative effort of volunteers and sponsors. Our sponsors can benefit from barcode technology on the sign that links the public with their website information. We are grateful for the work of Eric Peñaloza , Brandt Thibodeaux, Paco Vallín, Enrique Morales, Greg Homel and German Sánchez Vergara for without their help the signs would still be only a dream. We would like to thank our many sponsors for their generous donations that made the production of these informative signs possible. A heartfelt thank you goes to Casa Colibrí, Inn at San Pancho, Roberto’s Bungalows, Hacienda San Pancho, Diva Tours, Cielo Rojo Hotel, Tailwind Jungle Lodge, EntreAmigos, El Arte de Sanar, Escuela del Mundo, Ferrara Realty, San Pancho Spanish School, Favio and Veronica Vanin Jewelry, La Patrona Polo Club, Hacienda San Pancho, Puerto Vallarta Bird Festival, Riviera Nayarit, Klamath Bird Observatory, Partners in Flight, Aver Aves NABCI, and Natural Encounters Birding Tours. Thanks to each and all of you! The informative signs advertise our rich bird fauna to locals and visitors. These signs will not only bring business your way, but they also bring a powerful message that in San Pancho we DO care about birds and the environment! 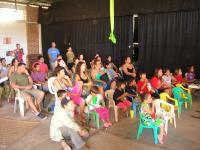 From April 24th to the 27th 2013, SPBO coordinated the presentation of “An Eye Like This”, an amazing film on hummingbirds, at four different venues including Bodega 3 at San Pancho, Centro Universitario de la Costa (U de G), Centro Cultural Rio Cuale and the Puerto Vallarta Botanical Gardens. Shows some very interesting scientific and cultural facts on hummingbirds and some actions to help conserve them. 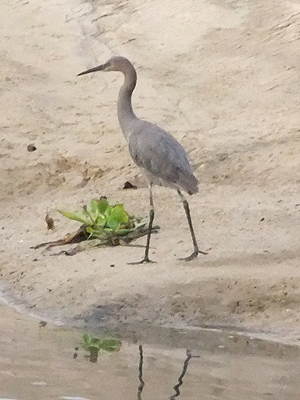 Banded Reddish Egret Visiting San Pancho and Sayulita! SPBO team found and recorded a Reddish Egret A banded juvenile was found earlier in the year feeding at the San Pancho and Sayulita Estuaries. The individual with band number P61 was banded at Alcatraz Island, Bahía Kino, Sonora, México. Reddish Egret is one of the neotropical migratory species of conservation concern in North America. Bird banding is important for studying the movement, survival and behavior of birds. About 60 million birds representing hundreds of species have been banded in North America since 1904. About 4 million bands have been recovered and reported. There are several organizations dedicated to keep track of banded birds across the world but the most important partners are the people who voluntarily report banded birds whenever found. Thanks to Suzie Wolfer for reporting P61!!!! 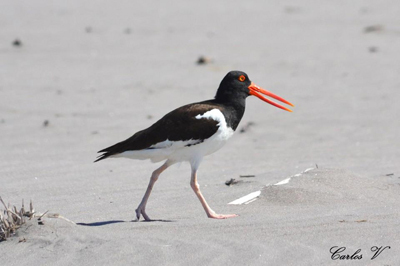 SPBO is collaborating with the Alianza Regional para la Conservación de las Aves de Nayarit and the Universidad Autónoma de Nayarit in the monitoring program of American Oystercatcher (Haematopus palliatus), which is an endangered species of shorebird. This study aims to estimate the population size of the American Oystercatchers along the Nayarit coast as well as identifying the threats in order to promote actions for their conservation. 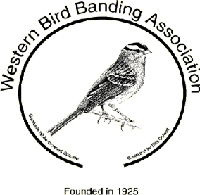 SPBO is honored to have received the 2012 Western Bird Banding Association grant of $1000 USD which will help to set-up banding stations and get permits in place to get our banding stations ready to operate. Thanks to WBBA for their support, we hope to attend the Ramsey Canyon AZ meeting next September! equipment which will be used for a tri-national study of Yellow-breasted Chats (Icteria virens) starting next fall. This study aims to identify migratory connectivity between the sub-populations of I. virens along the west coast of Canada, USA and Mexico as well as identifying critical factors limiting their habitat conditions in wintering habitats. The Klamath Bird Observatory is a USA partner in this tri-national collaboration. Thanks to Dr. Christine Bishop, Alyssa Serena and Elsie Krebs for their continued support!